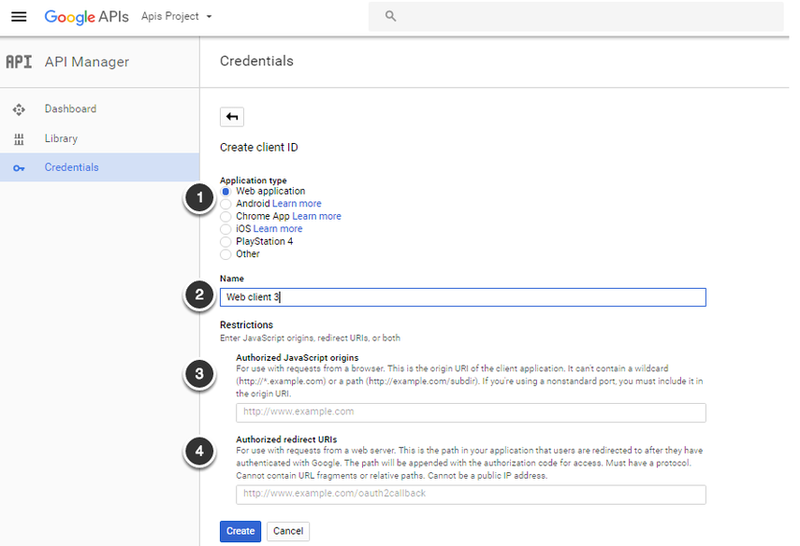 To establish connectivity with Google Services (BigQuery, Analytics, Calendar, Spreadsheet), you first need to register with Google by creating an API Console Project and create a single Client ID that will serve as a basic identificator between any Google plugin and Metric Insights instance. The result allows you to obtain a client ID and secret code. 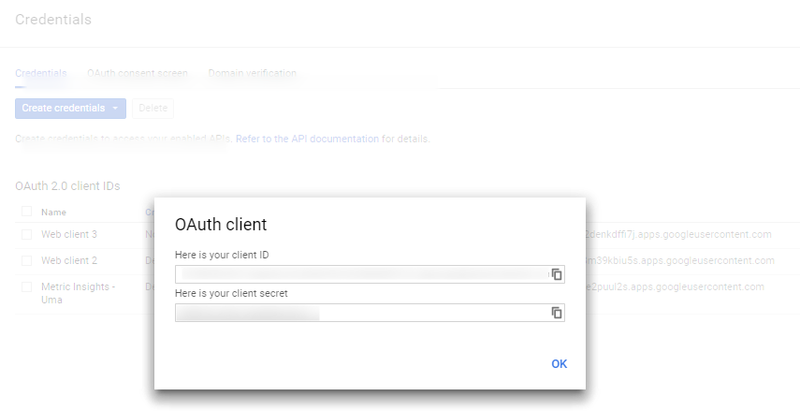 Only one Google Project and one Web Client (credentials) are required to establish connectivity to ALL supported Google services (BigQuery, Analytics, Calendar, Spreadsheet) via plugins offered by Metric Insights. 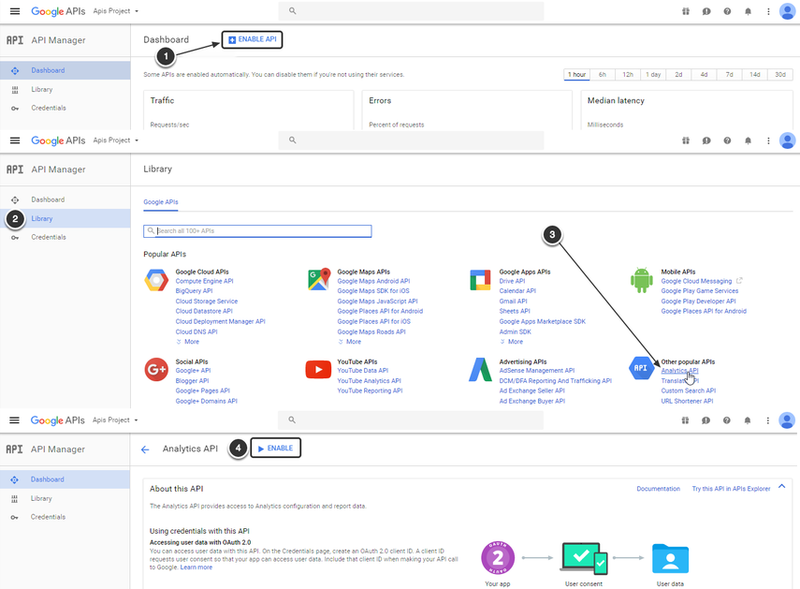 NOTE: Despite the fact that only one account (where the API Console Project was created) serves for establishing connection between Google and Metric Insights, other Google accounts can be used to create Data Sources for elements. Select the required API and open its Dashbaord. You can enable APIs for all supported services (BigQuery, Analytics, Calendar, Spreadsheet) in this single Project. NOTE: This value is referenced by Metric Insights at Admin > Utilities > Config variables GOOGLE_OAUTH2_REDIRECT_URI.